A student whose globally recognised research looking at the negative impact of malaria treatment in poorer areas, has graduated from the University of Sunderland’s Winter Graduation ceremonies today. Philip Anyanwu Emeka’s study revealed that poorer areas of Nigeria are impacted by malaria on a greater scale than their more affluent counterparts. He discovered that this is largely down to the anti-malaria drugs being mixed with other substances, patients having their treatment stopped in order to save drugs or having their drugs shared which created the malaria parasite to build up resistance to the medication. The research, published in the presigious BMC (BioMed Central) Malaria Journal, suggested that due to a number of mitigating factors, malaria campaigns need to broaden the scope of anti-malarial drug resistant control strategies to improve the socio-economic status of people where the malaria risk is high. Philip studied a Master’s in Public Health before progressing on to his PhD at Sunderland, which was instrumental in him landing a research role at the University of Glasgow’s Social and Public health Unit. He graduates today at the Stadium of Light, as part of the University’s Winter Graduation Ceremonies. 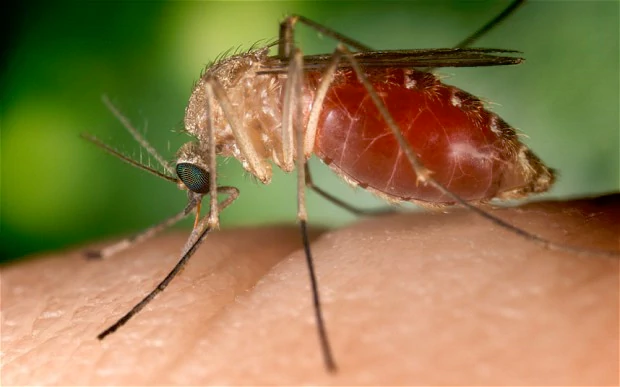 He explained: “I believe the anti-malarial drug use behaviours picked up by this paper, and the socio-economic inequalities in their distribution are crucial to malaria control, but not just in Nigeria. Currently, plans are being made for a scale-up of this study to establish how widespread these important practices are among the larger Nigerian population and if possible, other malaria-endemic areas. Since the study (Exploring the role of socioeconomic factors in the development and spread of anti-malarial drug resistance: a qualitative study) was published five months ago, the paper has been downloaded more than 4,000 times. It has also been discussed in different online forums that attract researchers from various part of the world, especially Africa. To further promote its impact, the article has been sent to the Minister of Health, the Federal Republic of Nigeria. The paper has also been disseminated at various conferences like the Euroscion Parasitic Infections Conference in London, and the Keystone Malaria Conference in Uganda, among others. Philip, from Nigeria, said: “As a contemporary global health issue, socio-economic inequalities in malaria drug resistance was not well represented in malaria journals before my study. I think this study has increased awareness of the importance of public health issues in developing countries. Asked about his experience at Sunderland during his studies, he said: “The PhD program challenged and refined my research skills and knowledge of public health issues. I see my time in Sunderland as a formation period filled with rich experiences that saw me develop both professional and practical life skills. “The support I received from my supervisory committee made me a better and more active public health researcher. Graduation ceremonies at the University of Sunderland mark the culmination of all of our students’ hard work as they are formally presented with their certificates and awards. The ceremony, held at the Stadium of Light, is a celebration of all of our graduating students’ achievements – a truly unforgettable day for them and their families. The BMC series is a collection of high-quality, peer-reviewed journals covering all areas of biology and medicine, focusing on the needs of the research communities which they serve. To read the full study by Philip Anyanwu Emeka, click here.